OFFICIAL WORD ON SIVAKARTHIKEYAN - MOHAN RAJA PROJECT’S TITLE! 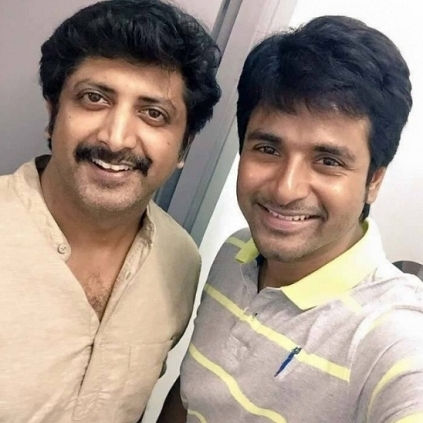 Sivakarthikeyan’s next after Remo is with the Thani Oruvan director Mohan Raja. The film which deals with a social message is under production and has music by Anirudh Ravichander. The latest about this big project is that the makers of the film 24 AM Studios have decided to reveal the title logo of this movie tomorrow (17th Feb) for the special occasion of Sivakarthikeyan’s birthday. Interestingly, last year too, it was on February 17th that Remo’s title was announced. Two back to back eventful birthdays for the rising star indeed. Can we expect a first look along with the title at 12:30 pm tomorrow? We shall have to wait to find out. Stay tuned to this space for more updates. People looking for online information on Mohan Raja, Sivakarthikeyan will find this news story useful.